It’s autumn, we’re back from summer vacation and have been adding more features into Mudlet for you! Completely redesigned, mudlet.org is now a brand new website. As we’d love for more people to get into MUD gaming, having a modern website is a necessary foundation for that. Go check it out, we’d love to hear your feedback. Big thanks to itsTheFae and vadi2 for the work! You can now deregister event handlers created with registerAnonymousEventHandler() using killAnonymousEventHandler() – or even just register temporary event handlers that expire after matching a certain condition. Big thanks to keneanung for adding this feature! Having the local keyword in here was not something previously possible. 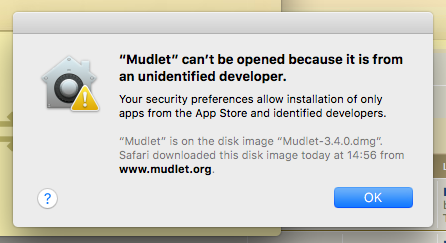 A pretty seldom one, but one that would happen nonetheless – Mudlet could crash when you searched for something in the buffer. This one was pretty hard to track down, but we believe we’ve found it – so if you’ve ever had it happen, upgrade! Built-in logging would be logging the prompt twice – that’s been fixed now, and logging works as expected. When you had a bug in your code, fixed it, and saved – the notification wouldn’t always go away. The bug in the code bugs notification has been squashed! Thanks to vadi2 for digging into this, logging, and the search crash. A lot of work goes behind the scenes to make Mudlet better. Thanks to keneanung‘s efforts, we now can do preview builds for Windows in addition to the existing macOS and Linux builds. Helping us test new features is one way you could help Mudlet improve and now you can test from any computer! 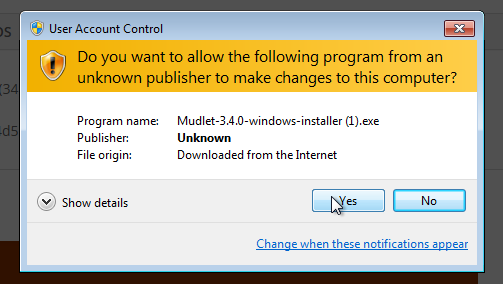 Have you been using Mudlet for a while? We could use your help in several areas. We don’t charge for Mudlet, so you can see an obvious problem there – a code signing certificate over a hundred bucks a year. Help us out, visit the contributing page. Code-wise, Mudlet is participating in Hacktoberfest – help contribute to the open project and get a limited edition T-shirt! We’re also looking at revamping our Windows installer so it’s not a series of “next next next” buttons to be as streamlined as possible – as part of this, we’re looking for an install animation to play while things are getting setup. If you’ve got skills this area, help us out! Big thanks to dicene, gilmoa, keneanung, mehakun, SlySven, itsTheFae, and vadi2 for making this release happen! 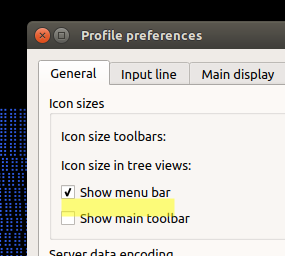 An earlier version of this post says that the toolbar needs to be enabled for Alt+L – that’s incorrect, it needs to be the menubar. The post has been updated.